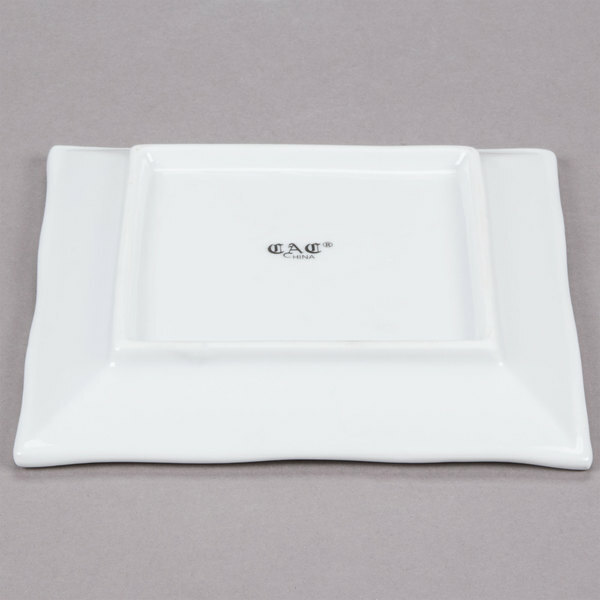 Add a distinct feel to any tabletop setting with this CAC BAP-5 Bamboo line 5" x 5" bright white rectangular porcelain platter! 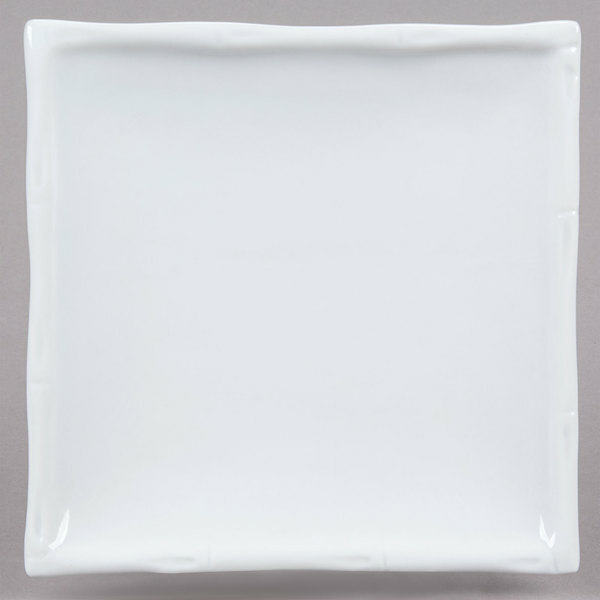 With edges that curve upward and a bamboo-like embossed rim, the platter will add style and durability to your ethnic restaurant, hotel, banquet hall, or catered event. 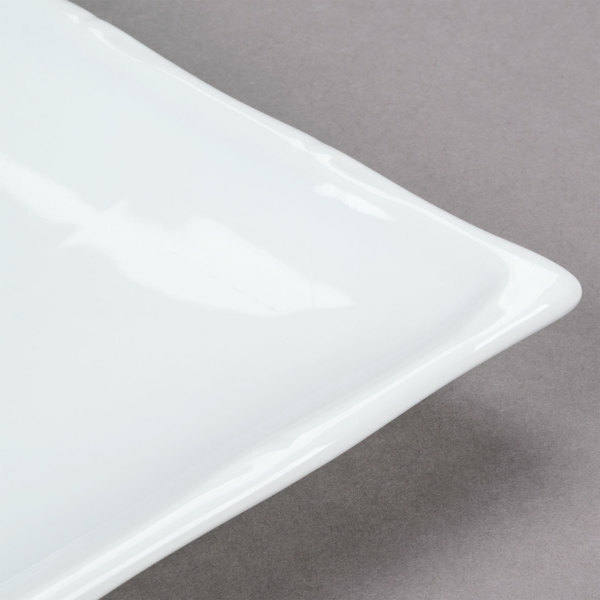 Made of durable porcelain, this platter is strong enough to withstand daily use without bending or scratching. 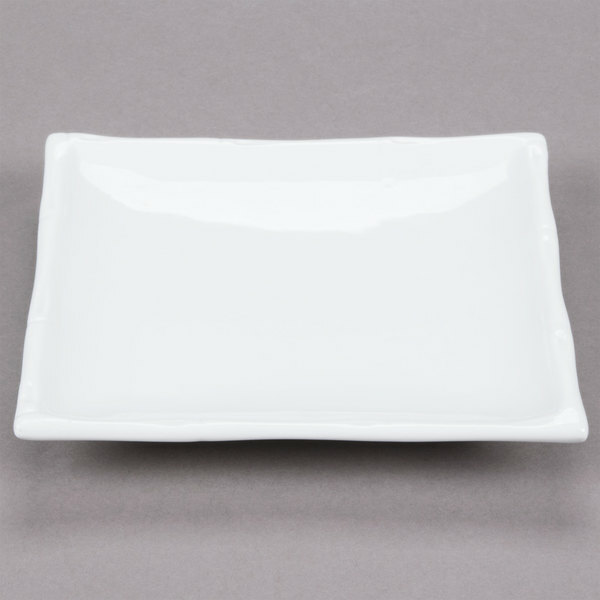 It also boasts a beautiful bright white color that will accent your dining room decor and complement your food. 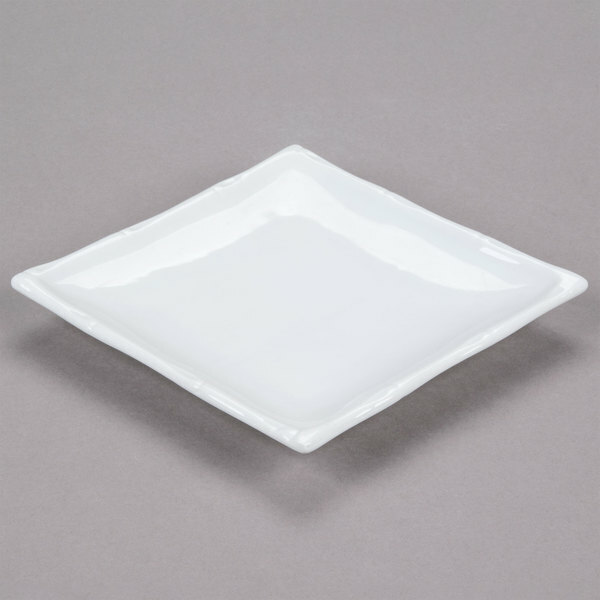 Plus, its size makes it perfect for serving your signature egg rolls, sushi, or desserts. Then, when the meal is over, this dish is easy to clean and stack with others of its kind for convenient out-of-the-way storage!